It is Older Peoples Day on Wednesday 1st October, held to coincide with the UN International Day of Older Persons. The Chartered Society of Physiotherapy (CSP) supported by AGILE has been running a campaign to support this and although it is now too late to get your supporters pack from the CSP, you can still join in with the activities! One way of joining in, of course, is to take part in our planned Tweetchat focussed on Frailty. There is an increasing number of older people within society living with frailty. Around 10% of people aged over 65 years have frailty, rising to between a quarter and a half of those aged over 85 years. There is an increasing focus on frailty within both acute and primary care settings; to identify frailer individuals on admission to hospital and to ensure appropriate onward interventions during admission and onto discharge home. Increasingly physiotherapists are at the heart of teams set up to assess and triage individuals on admission as well as being central to providing interventions for community dwelling older adults who are frail. This is reflected in the ‘Community Rehabilitation’ theme at this years Physiotherapy UK where several of the sessions have a focus on Frailty. 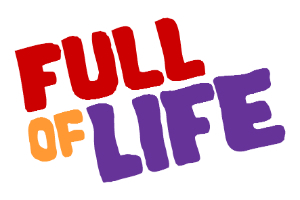 According to the British Geriatric Society in their publication ‘Fit for Frailty’, frailty is a distinctive health state related to the ageing process in which multiple body systems gradually lose their in-built reserves. It can be seen either as an accumulation of deficits through ageing, or as a group of characteristics (unintentional weight loss, reduced muscle strength, reduced gait speed, self-reported exhaustion and low energy expenditure) which can predic poorer outcomes. One of the key modifiable influences on frailty is physical activity, especially resisted exercise, and there has been an increasing interest in the role this can play in reducing frailty. As physiotherapists we are ideally placed to play a lead role in prevention of frailty through physical activity promotion in older adults and in offering rehabilitation interventions to those individuals with frailty. 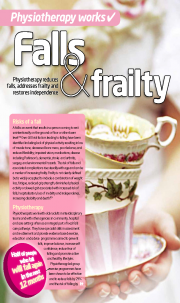 Do you assess for frailty in your setting? If so – how? How important is it to work in an interdisciplinary team for frailty? What interventions have you found to be effective for frail older adults? How can we best address the physical activity needs of the pre-frail and vulnerable? Thanks to all our tweeters!